Video games have come a long way since pong took over the world. Gamers are evolving as well, continuing to push boundaries and exceed expectations. From independent game developers taking it upon themselves to create their vision to the small media outlets like Gigamax Games offering unadulterated gaming news to the community, they all share one thing in common; they now have a voice in this gigantic industry. Let's take a look at one of these small organizations having a huge impact on their local gaming community, Mid-Tier Summit Gaming (MT Summit Gaming) and see how their story parallels so many others. Let's take a look at one of these small organizations having a huge impact on their local gaming community, Mid-Tier Summit Gaming (MT Summit Gaming) and see how their story parallels so many others. 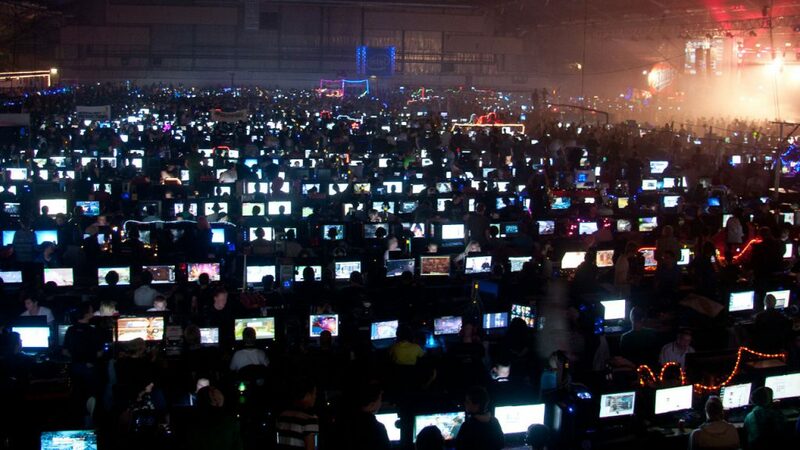 MLG began with a simple idea, putting on video game tournaments for like-minded gamers. Now a multi-million dollar franchise, gamers see this as hope for the future. With the internet and all the capabilities people have at their fingertips, gamers can do incredible things. MT Summit Gaming is one of those organizations with big dreams and a practical mindset. They will be hosting one of their first events on August 20th, 'SM4SH at the Cradle', and those that live close to Long Island, New York have a chance to put their Super Smash Bros. skills to the test. 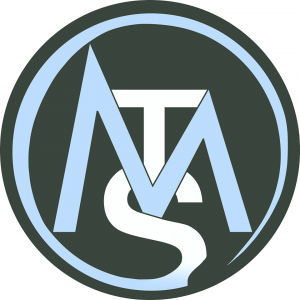 MT Summit Gaming is a small, up and coming organization focused on putting together peaceful, enjoyable and of course competitive gaming events around the Tri-State metropolitan area. Starting small and building a solid foundation, MT Summit Gaming has high hopes for the future. With their first event a glowing success, this upcoming Super Smash Bros. tournament is taking it to an entirely different level. If you’re interested in testing your Super Smash Brothers skills on the Wii U, find out more about the event and how to sign up here! The transforming video game industry is not only bringing the community more micro-transactions than it can stand, but also offering new ways to get involved. From gaming YouTube stars to the hobbyist content creator or indie developer, the everyday gamer can make huge waves and reach thousands of people. Whether it's putting on events such as the ones hosted by MT Summit Gaming or an unassuming blog post exploring an idea or subject, small gamers can now make a big difference. Special thanks to MT Summit Gaming for the invitation to the Super Smash Bros. tournament. We're excited to stop by and see who takes the top prize! Everyone here at Gigamax Games is happy to be a part of this exciting day. Door giveaways and Nintendo Switch Pro controller courtesy of Gigamax Games! Find MT Summit Gaming on Facebook! The independent studio, Forge Reply just announced that they will be releasing a new PSVR game this summer. The small studio is taking a cinematic approach to VR in their upcoming game, Theseus. This game is built completely for virtual reality, Forge Reply is building a new action adventure game that will make the player feel completely immersed in this new and amazing world. Theseus is a new and modern take on the classic Minotaur and the Labyrinth myth from ancient Greece. To introduce the game Forge Reply has released an announcement trailer that gives players an intense look into what their game is all about. Check out the reveal trailer below to get a good look into what this upcoming virtual reality experience is all about. In Theseus, the player wakes up alone in a new and terrifying location with only the voice of a mysterious woman to guide them. The protagonist will wander the halls and alleys of the ancient Labyrinth looking for a way out or meet their demise in the giant maze. Unfortunately they are not alone in the stone hallways, the Minotaur is there and not terribly happy that someone has invaded his home. This new independently developed virtual reality game looks like an intense experience and we can't wait to get our hands on it. It's great to see the new and exciting ways developers are approaching the VR medium. With PSVR being the first consumer level experience for this tech, it is a smart move for Forge Reply to make it the first system to receive Theseus. Expect a lot more information as we get closer to the release date along with gameplay videos to get an even better look into the game. Make sure to keep checking back with Gigamax for more on this interesting VR game! 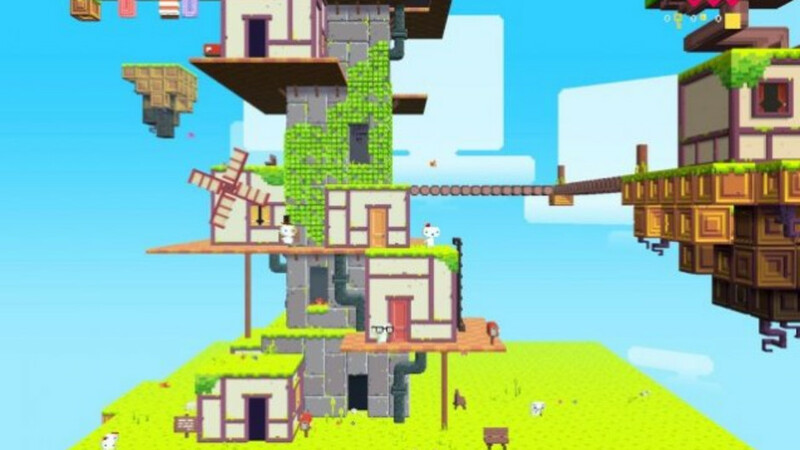 Indie games are a relatively new addition to the gaming industry. These privately developed and distributed experiences are true to the creators vision and don't need to abide by a publishers rules. Thanks to crowdfunding, the low cost of games and digital distribution the indie game continues to thrive in today's market. Fortunately for gamers, they tend to be a cost effective way to get the most out of a video game purchase. We've compiled a list of our 10 favorite indie games that just happen to be 10 dollars (or below). This beautiful indie title is an amazing example of a game that isn't just fun but also a deep emotional investment that shows you should never judge a book by its cover. 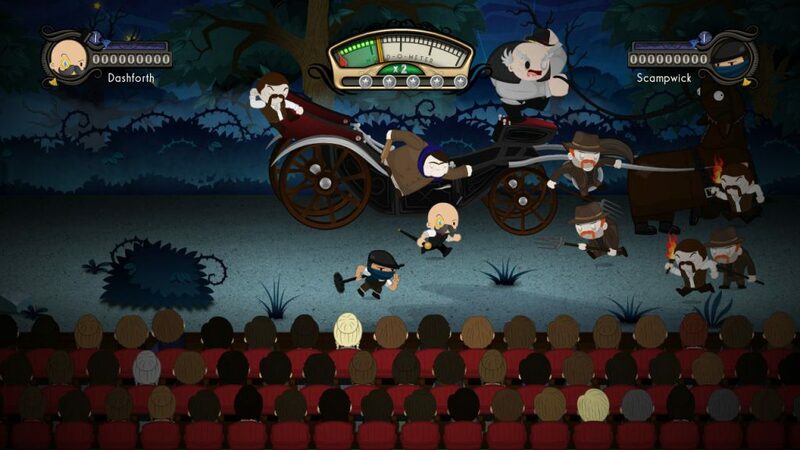 The game has its share of heavy moments but ultimately players will love its charm, wit and killer soundtrack. Experience a game that covers intricate themes like death and reincarnation all while challenging you with tough platforming along the way. 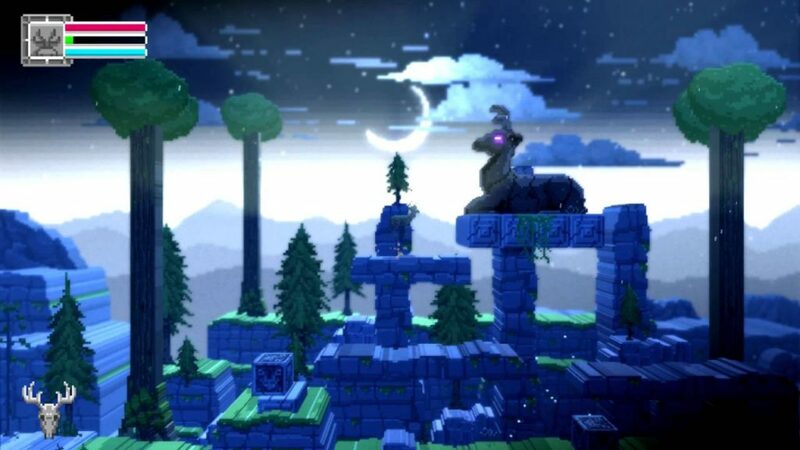 The 3D pixel art is beautiful and playing as a deer is a unique experience that every gamer is sure to love as they leap through the 8 bit world. Divekick is a two button fighting game that will either build a friendship or mercilessly tear it apart in a flurry of kicks. This game is a great example of how much a single move could impact a multiplayer experience. 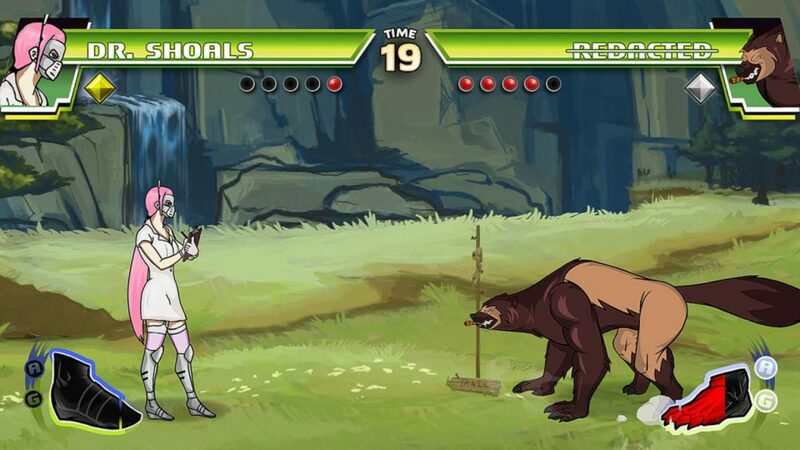 You will have to be clever, quick and ruthless in your quest to become the best at Divekick. Just stating it's a beautiful story game would be underplaying how wonderful this indie game actually is. 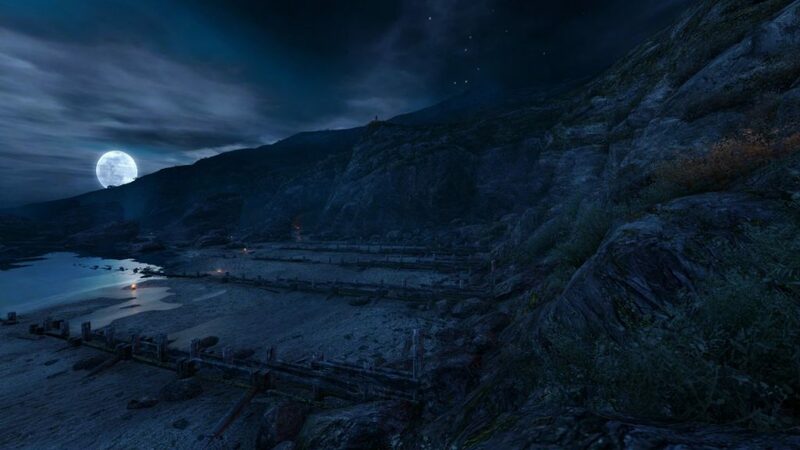 Surrounded in mystery and intrigue, the game starts with a simple "Dear Esther" and the long journey begins. We won't say any more in fear of ruining the experience, but if you like story based games, give Dear Esther a try. This quirky brawler has you taking control of the demon hunter, Baron Dashforth. A co-op adventure like no other, you and a friend will have a great time beating up bad guys in a staged retelling of the protagonist journey through a brutal land full of baddies. 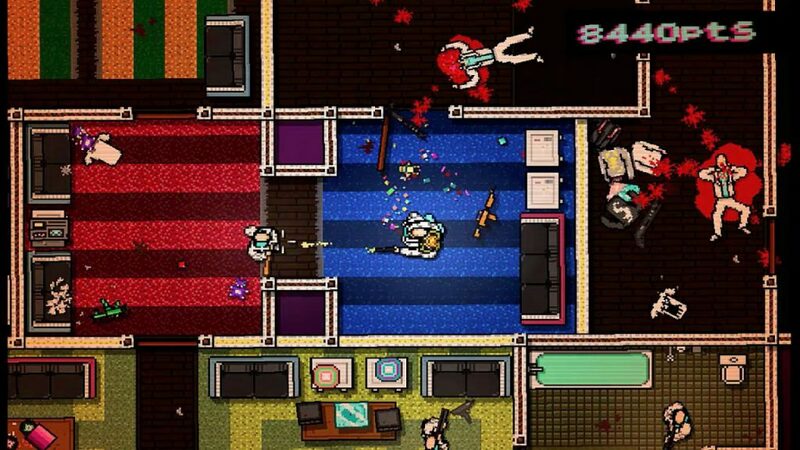 Hotline Miami is an intense gory experience that will confuse as much as it will satisfy. You take control of a serial killer/hitman that is ruthless to the gang members he brutalizes. With a variety of masks that offer different perks, the game has a ton of replay potential. Ever wanted to date a pigeon? 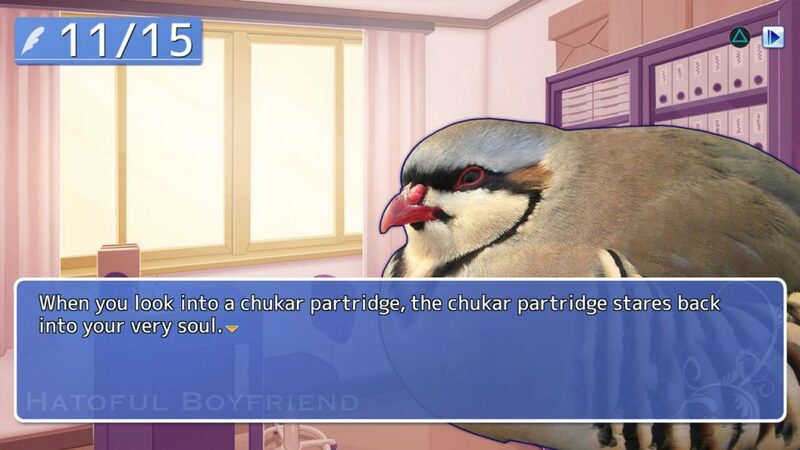 Well then Hatoful Boyfriend is the indie game for you! This game is a dating sim like no other. A variety of pigeons will line up to be the one you pick as a significant other. I have no more to say, just go try this hilarious adventure. Limbo is a classic in the indie game scene. This 2-D side scroller is filled with mystery, horror and you will have a great time figuring out the multitude of puzzles that fill this games black and white world. Take control of Gomez, a joyful critter that lives in a 2-D world... Until he doesn't! You quickly discover an object that shifts our protagonist into the 3-D world. Puzzles that utilize this mechanic are abound and while they are challenging, they are also extremely satisfying to conquer. BOO! If that didn't scare you, this horrifying game will. 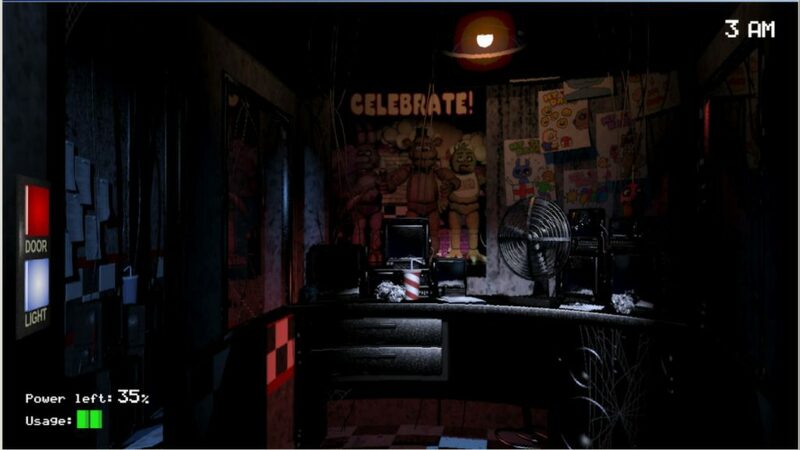 A true test of courage, this game will forever go down as the titular jump scare experience. Take control of a security guard who probably has the worst job in the entire world, guarding a pizza place haunted by the animatronic animals that entertain its guests. Warning: Not for the weak of heart or easily frightened! 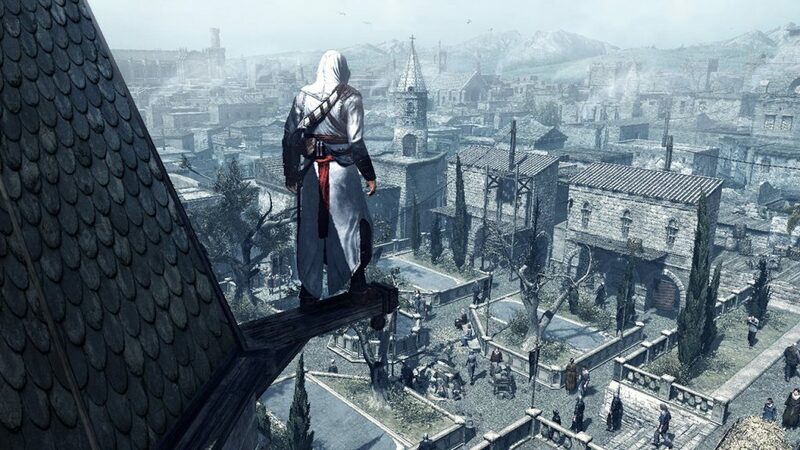 The creator of the popular action series, Assassin's Creed, revealed some of the reasons behind his exit from Ubisoft amid a lawsuit in 2013. In an interview with Gameology, Patrice Desilets gave some of the reasons behind the leave from Ubisoft and why he struggled working for a large gaming company. One of the biggest reasons he detailed was the political lying that had to be done. Desilets explained that ultimately it was an extremely tough decision to make but him and his girlfriend agreed it was for the best. Now he heads a studio named, Panache. The small team is now at 24 employees and will ideally grow to about 30 by the time development is in full swing. Comparatively his team at Ubisoft was over 800 people strong. The developer explained that his studio will make the mysterious game 1666: Amsterdam. 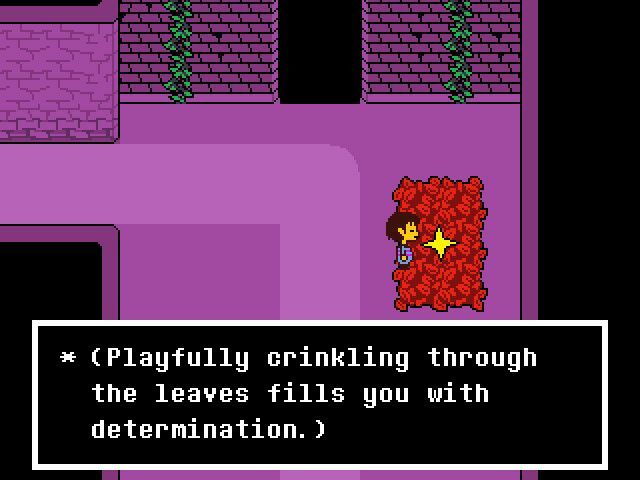 The only information revealed about the game was that it deals with the bad side inside all of us and how every individual copes with that differently. Much more was discussed in the interview, anyone interested in the gaming industry should definitely check it out here. It offers great insight into the politics behind Triple A games that many don't realize exists. It is easy to forget that the immense amount of people and work that are behind these spectacular games. The very talented Patrice Desilets is sure to be very successful at his new studio and Gigamax will be sure to have coverage of Panache's work. Be sure to keep checking back with GigamaxGames.com for all the latest in gaming news!